Convener. Thought Leader. United Voice. 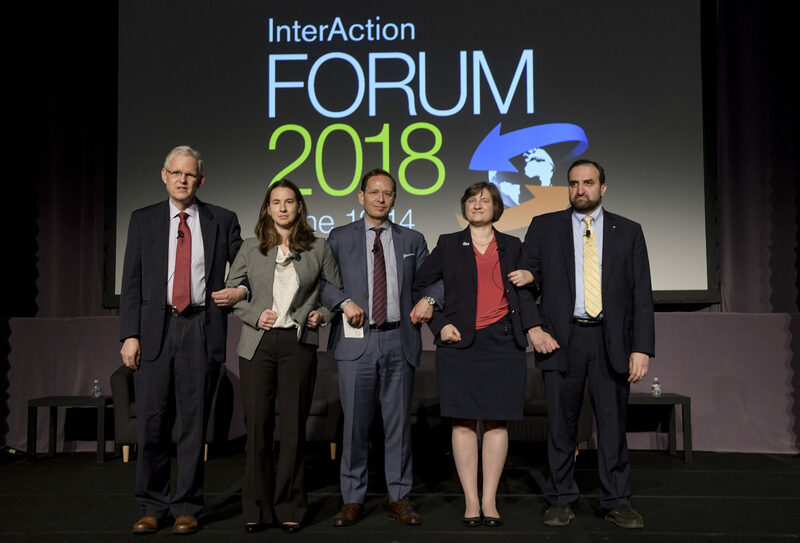 Founded in 1984, InterAction is the largest alliance of international NGOs and partners in the United States. We mobilize our 180-plus members to think and act collectively to serve the world’s poor and vulnerable, with a shared belief that we can make the world a more peaceful, just and prosperous place – together. InterAction works to be a leader in the global quest to eliminate extreme poverty and vulnerability, strengthen human rights and citizen participation, safeguard a sustainable planet, promote peace, and ensure dignity for all people. Our membership consists of more than 180 NGOs working in 100-plus countries. InterAction is managed by a committed and active board of directors. Diverse in representation, we seek variety in NGO size, geographic representation, a mix of faith-based and secular organizations, CEO gender, a balance of new and returning board members, and experience.